ONA PRO is new and exciting! These are products for professionals and are now available for you. The first product in this series is ONA PRO Gel. As we constantly strive to improve our Odor Neutralizing products, we have developed a formulation that takes odor control to a new level. ONA PRO Gel is as close to odorless as we have ever come. Although it has a slight scent when sniffed in the container, the final result when working on powerful, noxious odors is simply a clean, fresh smell - period. ona gel can be used with the storm, odorstop, carbon-air or breeze to ensure uniform distribution of odor neutralizer in the area to be treated. The ONA Gel is one of our most popular products. We spent many years developing a blend of ONA Liquid and various suspension elements to result in a product that has excellent dispersion qualities. The ONA odor neutralizing agents are released in a controlled manner so that every drop of this excellent product is fully optimized. Available in two popular scents: Fresh Linen, Polar Crystal. If Something Smells Bad - It’s Time for ONA! ona is a series of complex formulas, using essential oil technology, that are designed to simplify your odor control management. They attack, neutralize and destroy a wide spectrum of organic and non-organic odors. ona can be applied to solids, liquids or dispensed through the air - in small or large volumes. You can tackle any odor problem with ona—we're so confident in our product! ona products are non-toxic and environmentally safe—reducing work safety concerns and allowing for aggressive odor management programs. ona - odor neutralizing agent is manufactured by Odorchem and distributed by many major distributors across North America. In 2006, new distributors are being established in the UK. If you have an odor problem; of virtually any type, use ona. ona will effectively eliminate it. This semi-solid block of odor neutralizing agent slowly releases ona to eliminate any airborne odors. 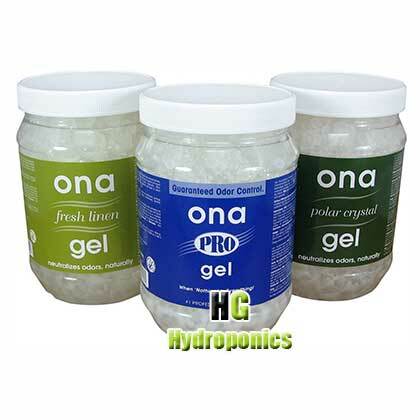 ona gel comes in 1 litre, 4 litre jar (shown), 4 liter pail and 20 liter pails.